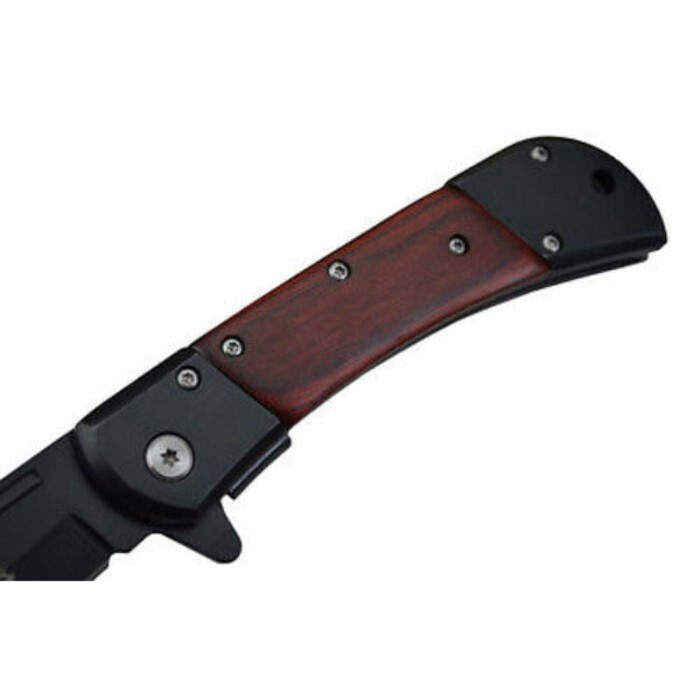 8" ELK RIDGE Wood Hunting SPRING ASSISTED OPEN Gentleman Folding POCKET KNIFE | BUDK.com - Knives & Swords At The Lowest Prices! 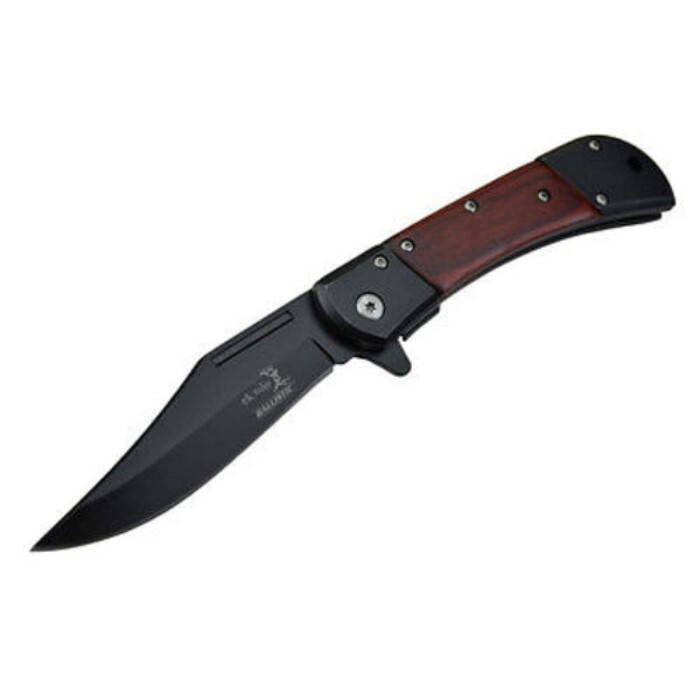 This spring assisted knife features black stainless steel, and is ready to slice and dice whatever comes your way. 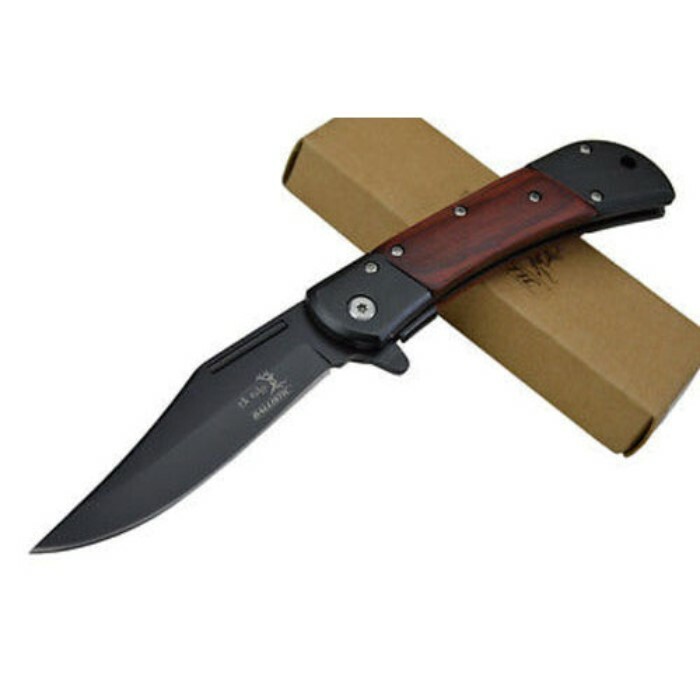 The blade itself is nearly four inches long. 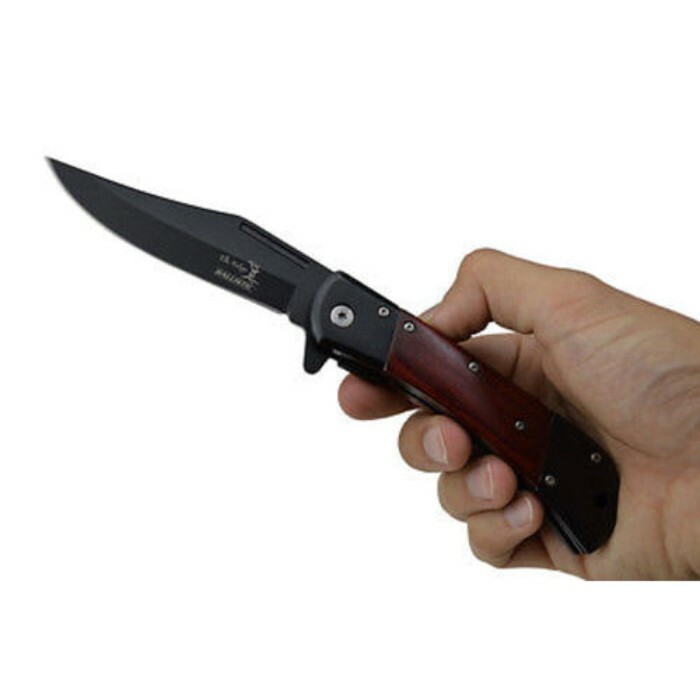 When this knife is closed, it measures almost five inches long. The real beauty of this knife is the brown pakkawood handle with a stainless steel bolster. 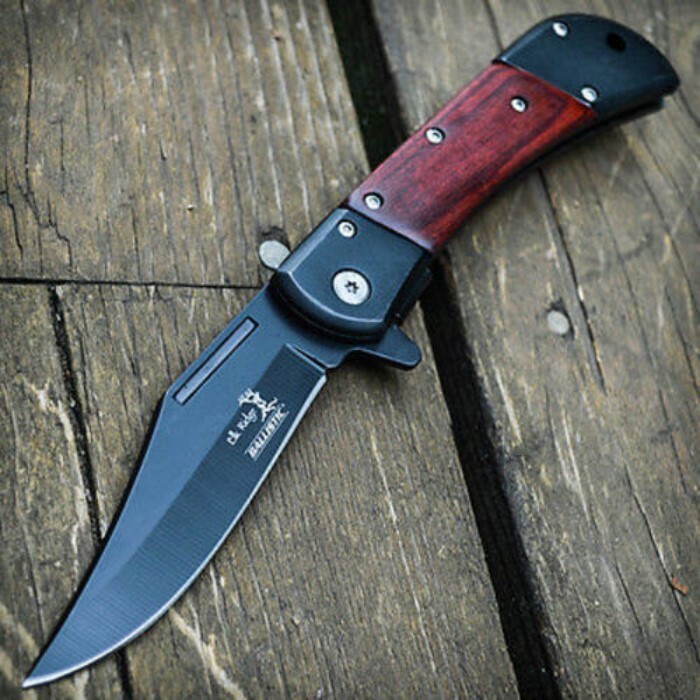 Pakkawood is well known to be a very durable wood and is a popular choice for knife handles. 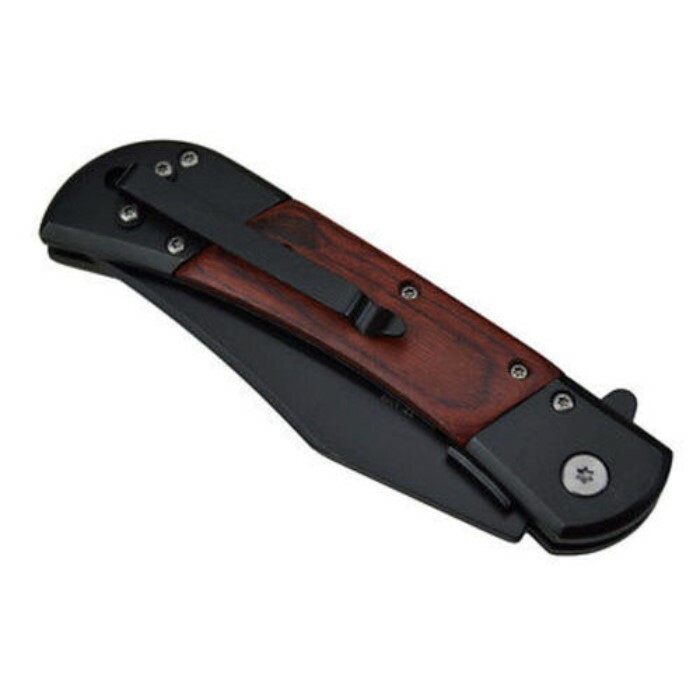 The pocket clip is the same black as the knife making this knife appear look like it was put together by a master. Tactical Arm Bracer Vambrace Set - Faux Leather Construction, Metal Spikes, Steel Plate Armor, Buckle Strap, Elastic Bands - Length 9 1/2"